Landing a job interview is hard. It's even harder if you don't have the right wardrobe. NASHVILLE, Tenn. (WTVF) — Landing a job interview is hard. It's even harder if you don't have the right wardrobe. 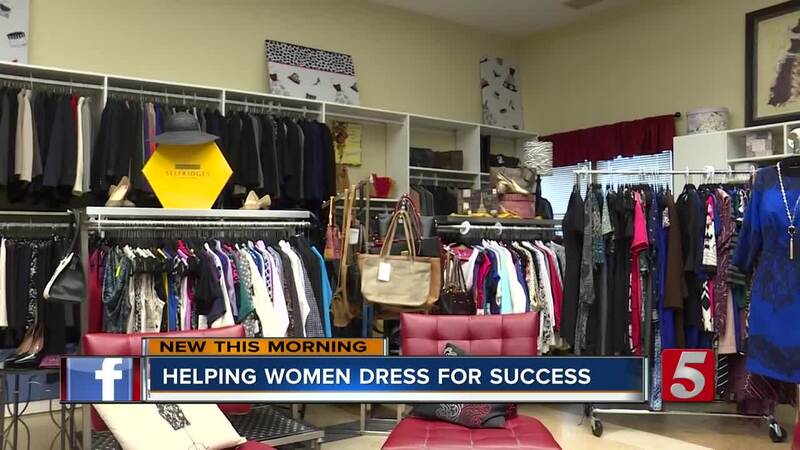 Every year, this store at the YWCA , helps more than 100 women dress for the jobs they want. Women like Janis Kowalczyk, who lost all her clothes in a house fire, then scored a job interview with Verizon and had nothing to wear to her interviews. She ended up at the YWCA in their non-profit boutique. They dressed her from head to toe. She says, without them, she's not sure she would've even gone on the interview. Kowalczyk is just one of the women Nashville's "Dress For Success" chapter has helped. "We have a constant stream of clients that come through. We're lucky this year because for the fourth year Talbots has partnered with 'O, The Oprah Magazine,' and come up with a line of five separate pieces that if someone were to purchase 30-percent of the net proceeds go directly back to the local affiliates," said Dr. Echell Eady, Senior Director of Adult Education & Career Services, YWCA Nashville & Middle Tennessee. The YWCA is having a "Spring Inventory Sale" Saturday, April 13th from 9 a.m. to 1 p.m. Everything in the store will be $1 to $10. All proceeds support "Dress For Success."